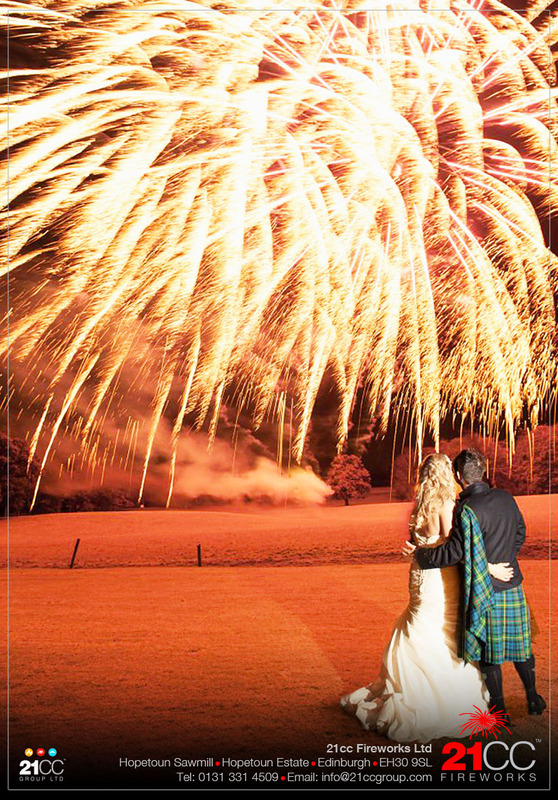 Your wedding fireworks display with 21CC Fireworks! 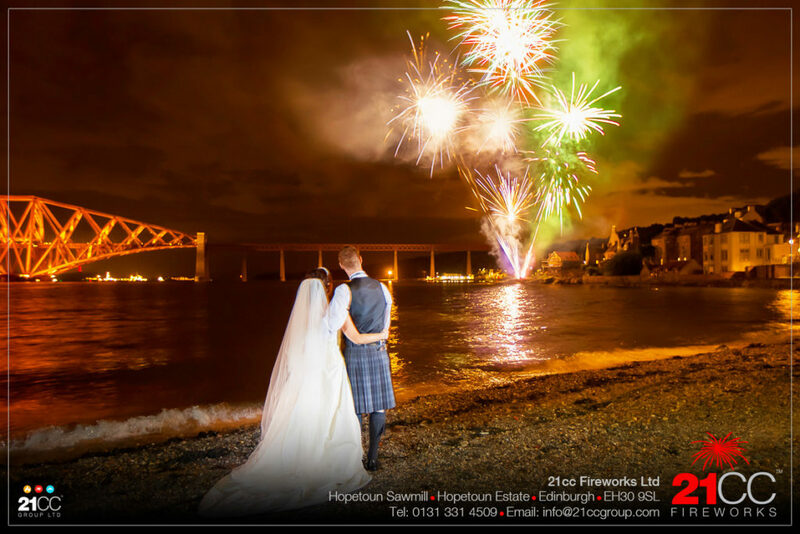 We are here to help you with 10 good reasons as to why 21CC Fireworks are the right wedding fireworks display team for you! 1. Planning & Health & Safety! 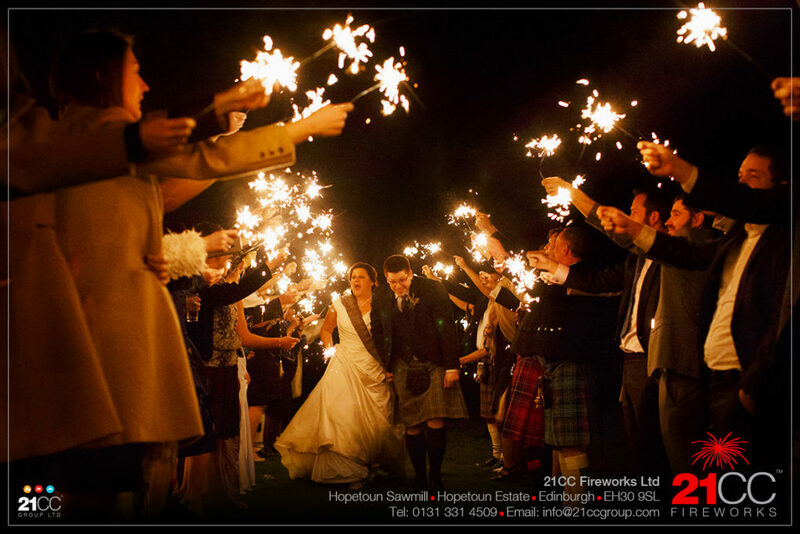 Health & Safety is at the top of our list when it comes to delivering our wedding fireworks displays. Right from the start, health & safety influences how we design your show and the products we can use. We already have site plans for most venues in Scotland. If we don’t have your venue on file, we will assess the site for safe firing and create a site specific plan for your wedding fireworks display. What does this mean for you? It means we’ve done our homework. We know the site, we know what is safe to fire there, we know where we are going and we know where you and your guests will be watching your wedding fireworks display from. It is all in hand with 21CC Fireworks! Bigger is better! We’re an established team and many of us are qualified Senior Firers too. This means we have the right personnel to assign to your wedding fireworks display, all coordinated by our Crew Manager who runs a very tight ship! 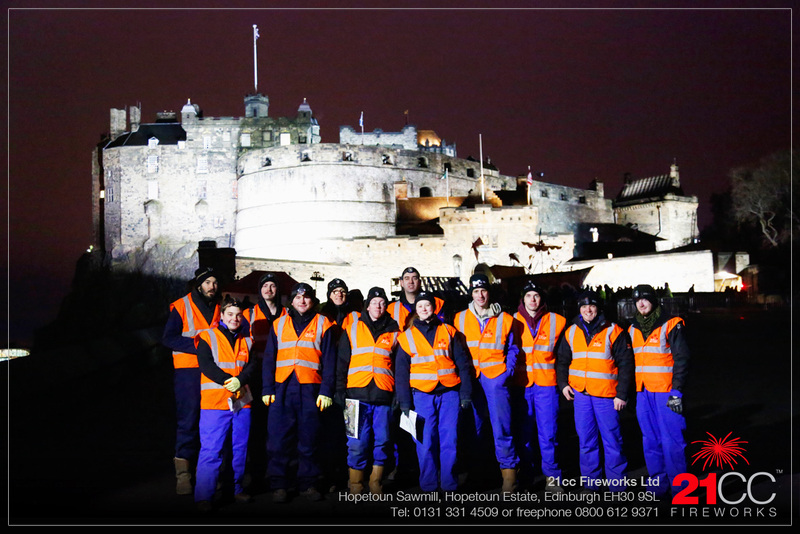 With 21CC Fireworks being a sizeable company, we have a large crew team and a full contingency policy in place. We can therefore roll this into operation should the need ever arise. In short, we have built in back-up mechanisms to safeguard the delivery of your display. If a member of crew is sick on the day of your show, we draft in another member of our team. All of this simply gives you peace of mind. With a team of 11 in our office, we also have a dedicated wedding team ready to look after you. 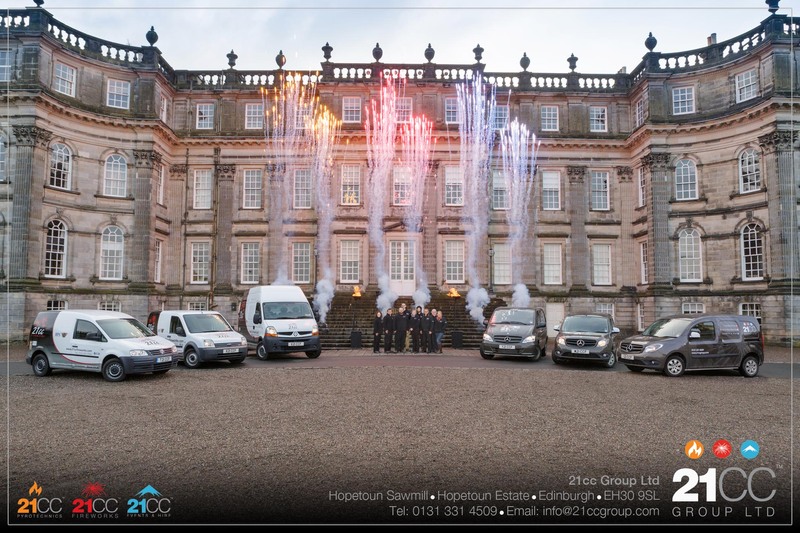 Cutting through the jargon – we work really hard to ensure our team are professionally qualified to design and fire your wedding fireworks display. Our ‘Senior Firers’ & ‘Firers’ have completed lots of training courses and modules, including the BPA courses for firing (the BPA is the British Pyrotechnics Association). This means we can fire professional fireworks (Category 4 as opposed to Category 3 retail fireworks, which is what anyone can buy in the shops and light themselves). We put everyone through additional training every year to keep everyone current, safe and educated. 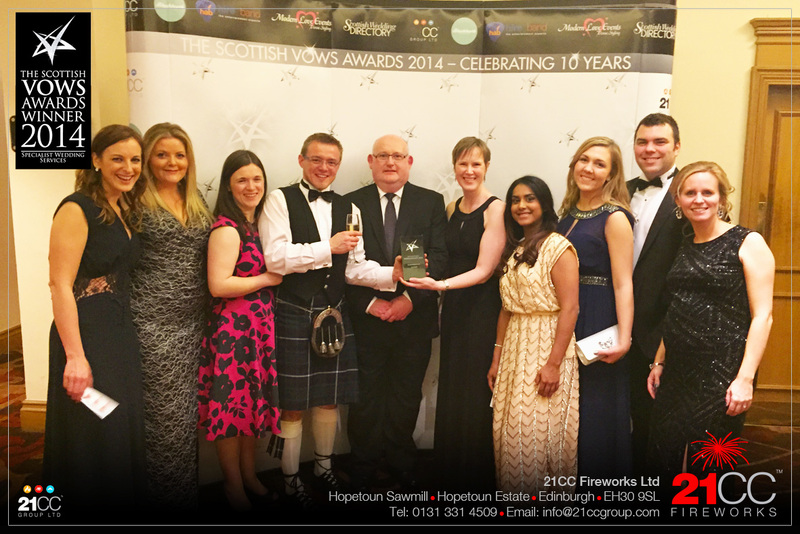 All of our team have worked on multiple wedding firework displays – so you are in good hands! We invest in our equipment. When you buy into us, you know you are getting the very best firing gear on the market! 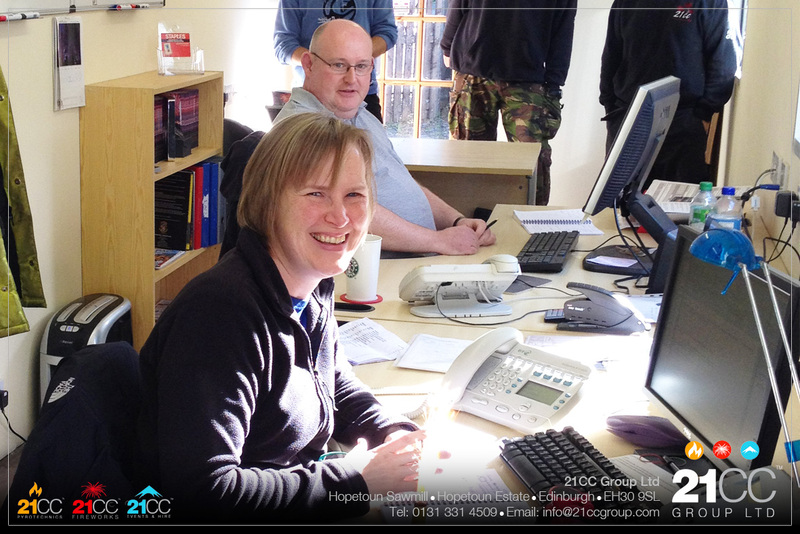 Which takes us again back to reliability and qualifications….. our firers are all trained in Fire One technology! We don’t charge you extra for this, it’s all in with your wedding fireworks display. This is ‘boys and their toys’ kind of stuff, but it is what makes your wedding day fireworks simply awesome! We invest in our vans. We have a fleet of new vehicles, which means that we can bring your fireworks to your venue location as reliably and as efficiently as possible! The Euro5 engines in our vehicles reduces costs and removes the worry of running older vehicles. 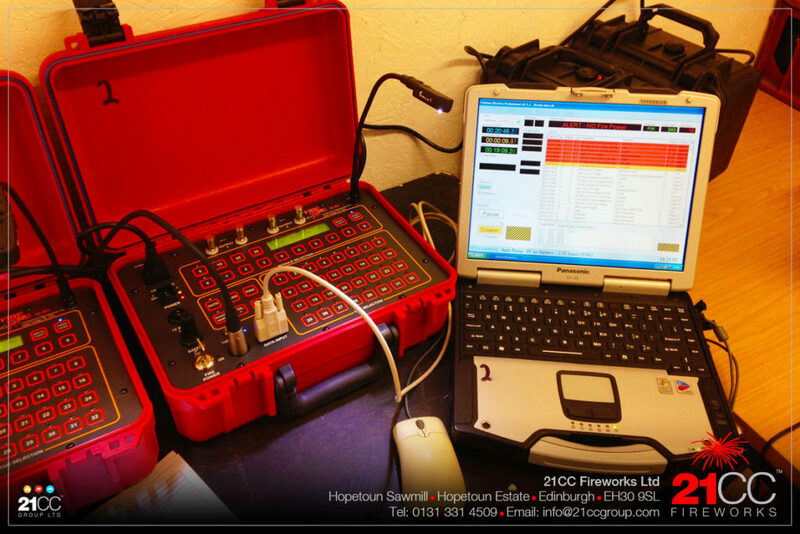 When you book 21CC Fireworks for your wedding fireworks display, you are booking a team with the right kit! We bring in our products from China and only choose the best. Our team travel out to China to look at new products and to select effects for the coming year. 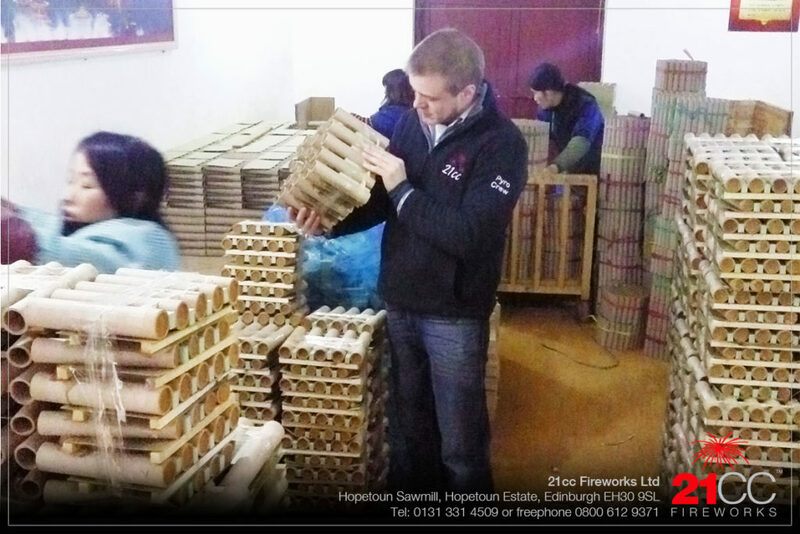 During these visits our team check out the quality of the materials and test fire a number of products to make sure that we only have the best in our wedding fireworks displays. We should say here that cheapest is not always best. 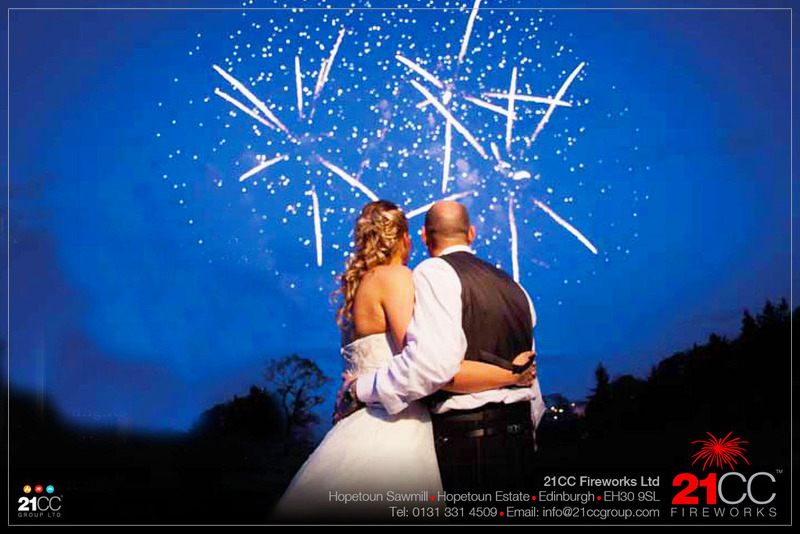 We want you to get the very best package for your wedding fireworks display. We bulk order our stock, which keeps the prices down when we are buying. What does this mean for you? It means that we can fill the sky with high quality products for relatively small amounts of money! You will be amazed at what we put into our shows. Our professional shows start at just £795 (£662.50 plus vat) and that is an all inclusive price! 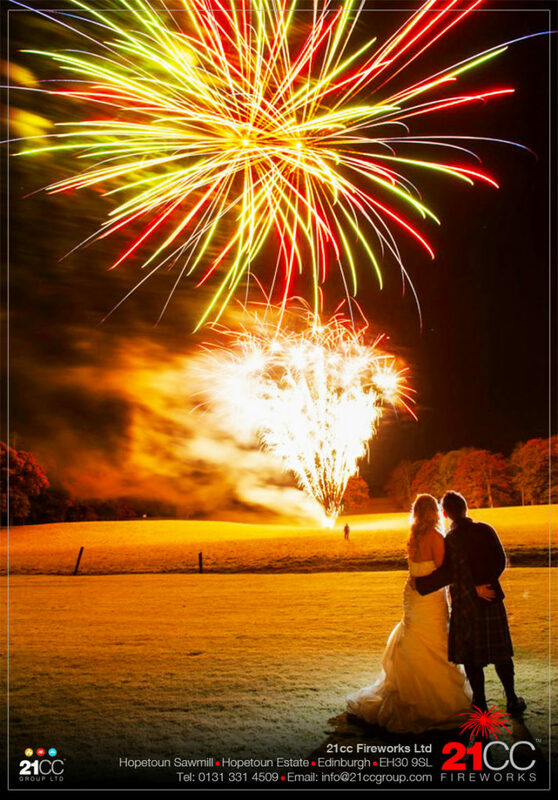 “our wedding fireworks display team are the team that do T in the Park”…..
Or you can substitute T with another one of our many fabulous clients! Nothing says success like our Awards cabinet! Awards for our customer service and for our sustainability practices. The team here at 21CC Fireworks want to excel in all that we do! 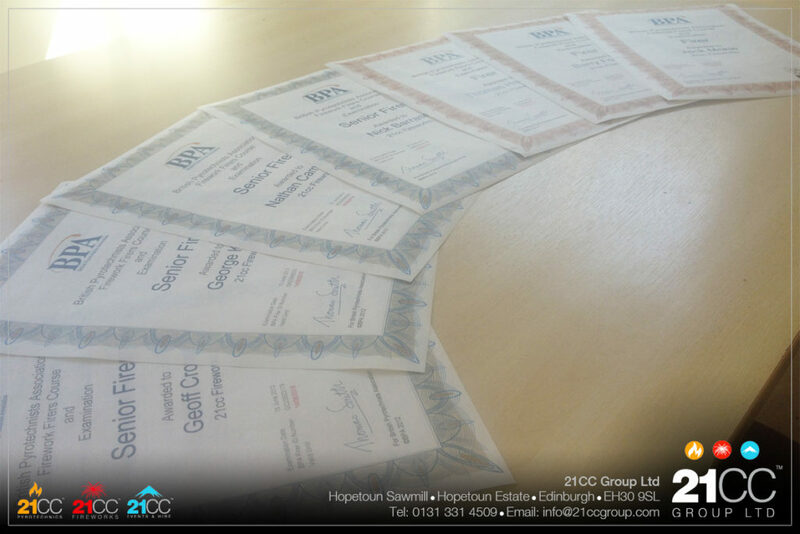 Our Awards have been voted for by our clients and by those in the events industry. We are proud of our achievements and think it’s only right we shout about it! There’s not really any exciting stuff to say about this, but as a wedding fireworks display company, we must have this, and have it to the correct level across public, product and liability. It goes without saying, that we are fully insured. 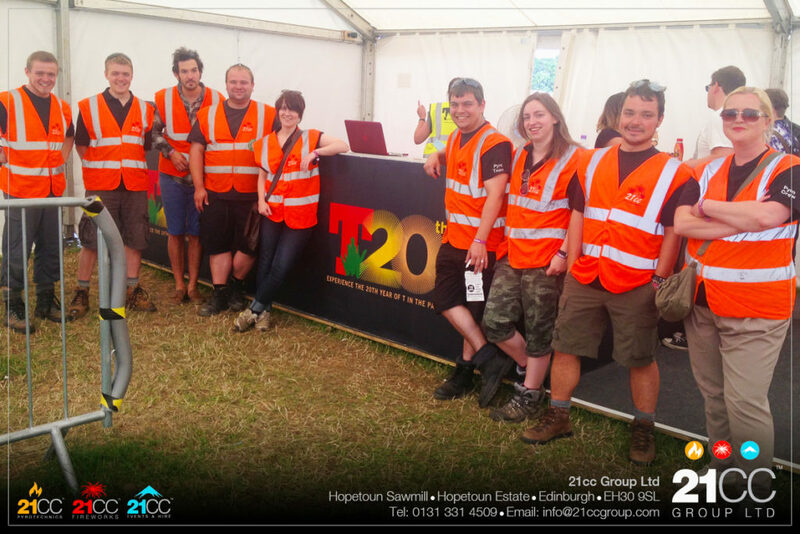 We are insured to £10,000,000 so you know that we take health and safety very seriously. What’s next for your wedding fireworks display? If you would like to book your wedding fireworks display with 21CC Fireworks, simply email our wedding team on weddings@21ccgroup.com and one of our lovely wedding team will get back to you! Or call us on 0131 331 4509 and we will talk through the options with you. We look forward to hearing from you.